Hello, I am Erica Y. Johnson, with the IMPOWER team in Central Florida, a leader in providing online mental health services. I enjoy working with individuals and/or groups where my education, technical training, life experiences, creativity and practical work experiences will be used as an opportunity for growth. What better place than the Counseling community. I love empowering other to reach their full potential. “The Me I Am and The Who I Plan to Become”. Life experiences can bring us unexpected changes, problems and emotions. Clinical counseling can help inidividuals identify and develop coping skills to deal with life changing situations. I am a Register Mental Health Counselor with over 15 years of professional counseling experience working with children and families. I am Certified in Tramua Informed care and specialize in working with Youth with low self-esteem, depression, anger management and ADHD. My experience ranges from Adolescence Issues, Parent-Child relationships, Sexual Abuse, Domestic Violence, Substance abuse, Mood Disorder, Depression, Grief/Loss, Anxiety, ADHD, PTSD, Bipolar and Anger Management. Having worked in the Social Service arena, making presentations, conducting training, workshops and educating middle, high school and college students. I considered myself a strong advocate and youth service specialist having addressed countless workshops and conferences participants. I have the ability to present and capture the attention of young audience in a language that youth can identify with and understand makes me a unique advocate in address teen issues. I am able to offer my clients the highest quality of care in evaluating and addressing a variety of life issues. Those clients seeking to resolve emotional difficulties or life challenges will find a solution-focused approach while achieving their treatment goals. In addition, I have worked with clients of all ages, specializing in individual and family care. My approach includes cognitive behavioral, reality therapy and solution or goal focused treatment methods. 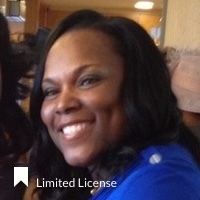 * Erica Y. Johnson has completed coursework and received a Masters degree from an accredited university. However, she is not yet fully licensed to practice independently, and is under supervision with a fully licensed provider. Individuals under supervision are able to provide clinical services to Medicaid patients in the state of Florida.